Dr. Nolan’s goal in practicing podiatry is to help salvage limbs whenever it is possible. She manages foot care for diabetes patients, pediatrics, and wound care patients. Dr. Nolan also diagnoses and treats bunions, hammertoe, corns, calluses, and heel and arch pain. 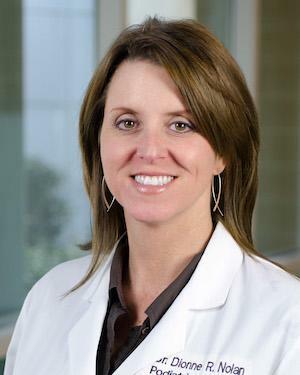 Educating her patients is an important aspect of her practice, as Dr. Nolan feels a responsibility to help people maintain a healthy and pain-free diet as a form of prevention. Dr. Nolan is currently accepting new patients.